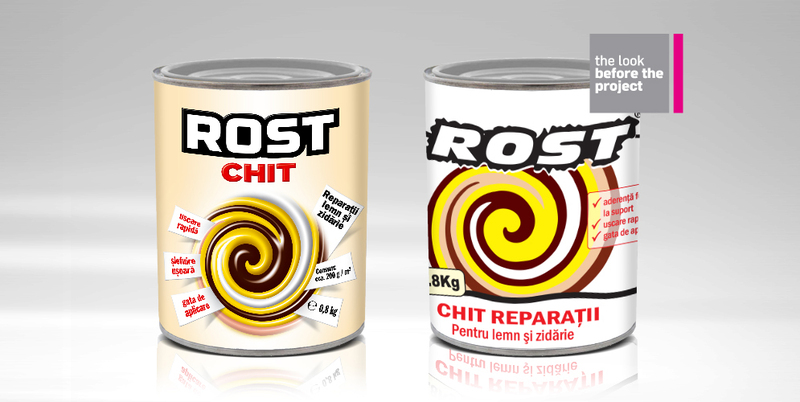 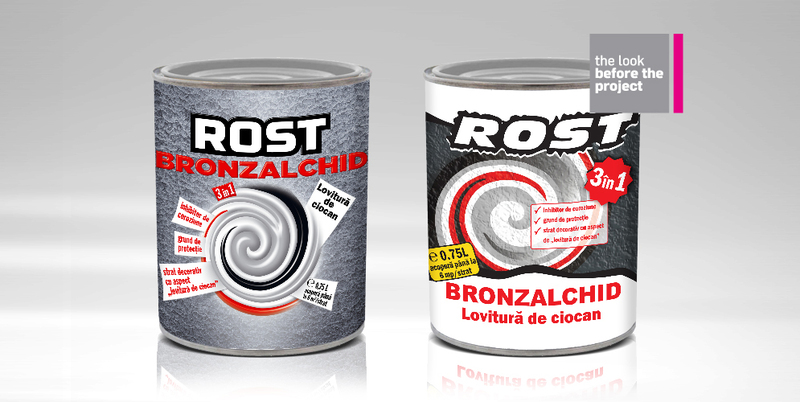 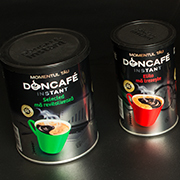 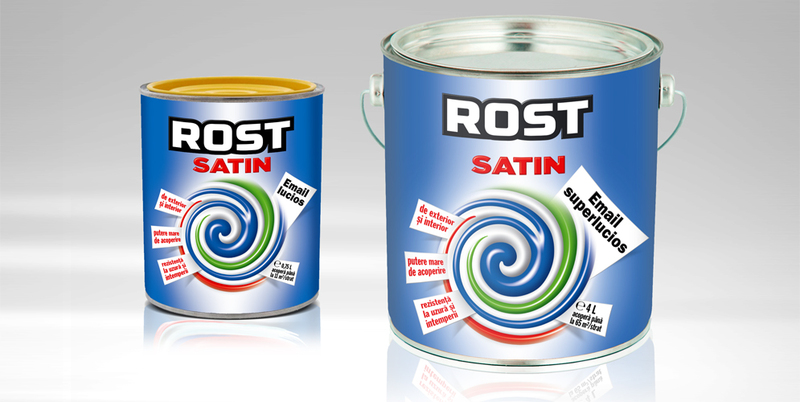 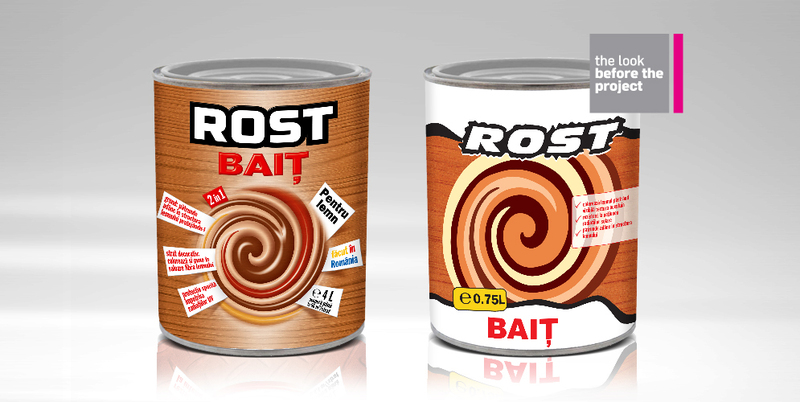 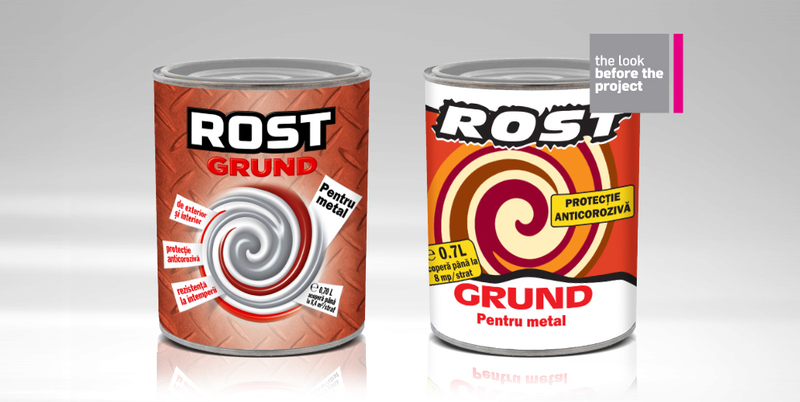 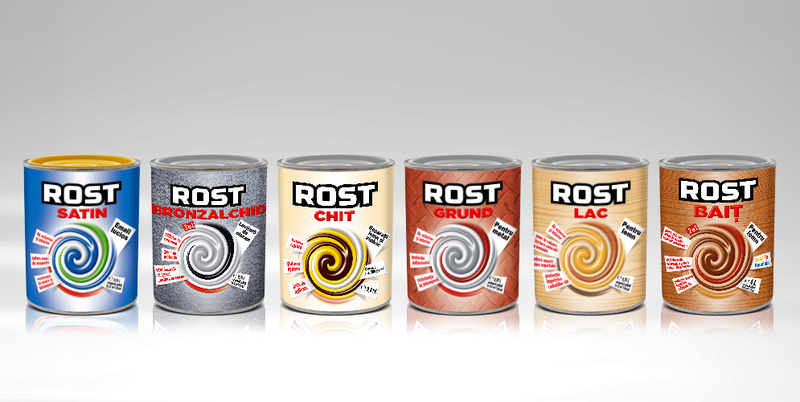 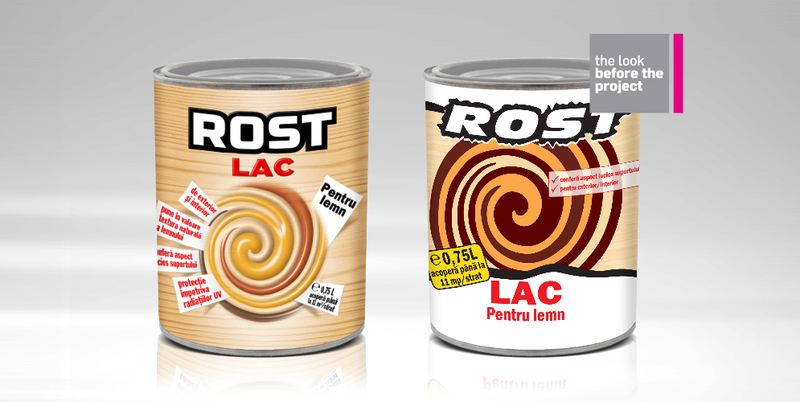 One of the most important enamel brands on the Romanian market for almost 15 years, Rost needed a design refreshment and it certainly got the attention it deserved from our team in a challenging project started at the end of 2014. 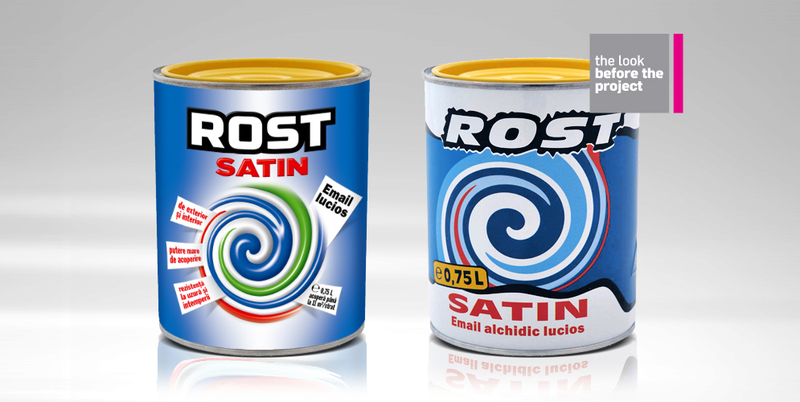 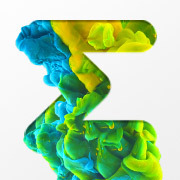 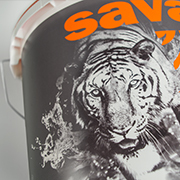 The brand’s typeface logo is now rounder and friendlier, but it maintains its original colour and black outline, the sub-brand name and product denominator are consistently placed below the logo and respectively on the right hand side across the entire product range and the proprietary color swirl has been redesigned to illustrate the texture of the products, while the entire layout has been reshaped in order to enable the color swirl to enjoy the central position on the package. 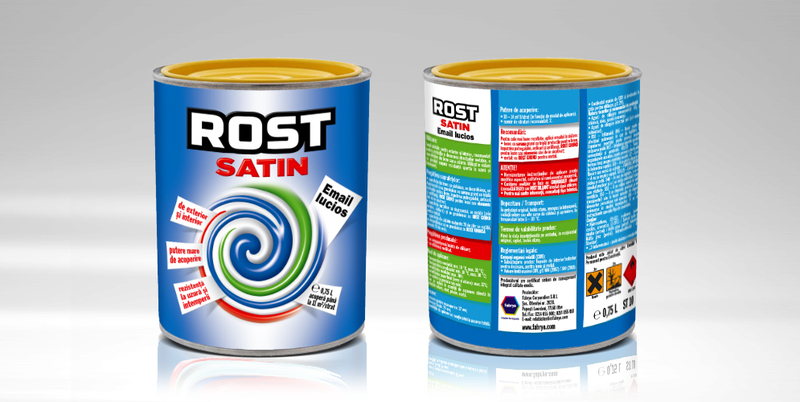 A newly-introduced graphic element is the post-it, used as an information holder both on the front and especially on the back of the package, where the information display has been completely redefined in order to make it easier for the product buyers and users to carefully read the usage instructions and product information.